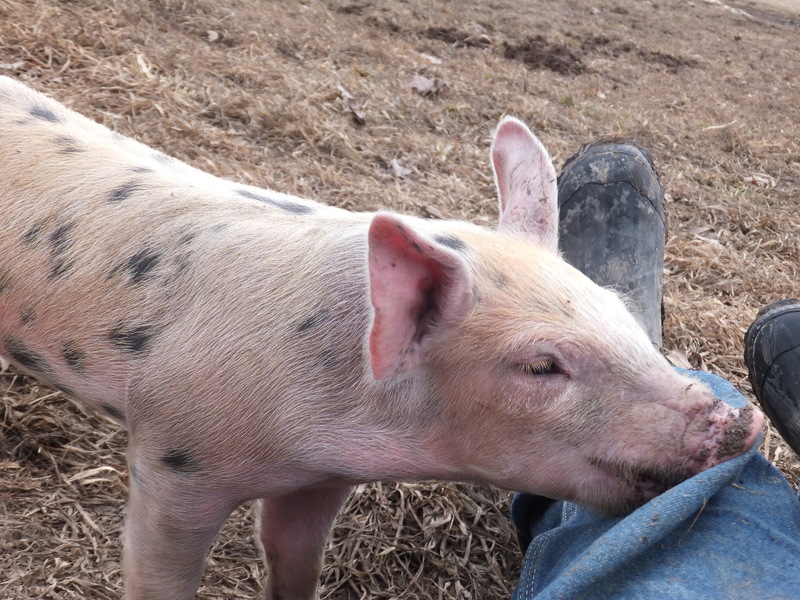 Three-week-old piglet biting my pant-leg. We have probably all heard stories about people being fed to hogs. I don’t doubt the veracity of the stories as hogs are omnivores and will eat just about anything. Piglets are also natural fighters. 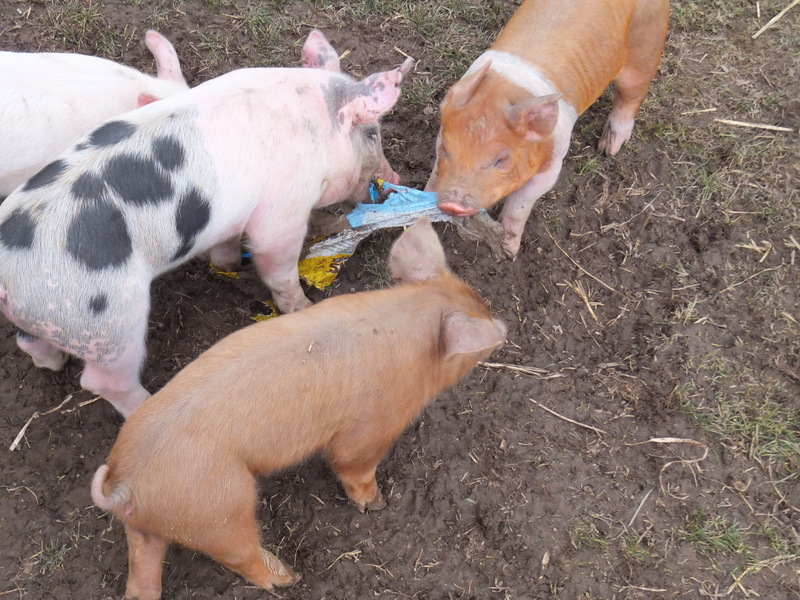 Below you can see two piglets fighting over a scrap of plastic. Imagine how viciously they would fight over something valuable. And that must be how the cruel sport of Piglet Fighting started. Two piglets fighting until exhaustion, the winner receiving warm milk. Contact your representatives in Washington and urge them to enact legislation to ban Piglet Fighting now. This entry was posted on Monday, April 1st, 2013 at 12:12 am and is filed under Curious hogs. You can follow any responses to this entry through the RSS 2.0 feed. You can leave a response, or trackback from your own site. Hahaha . . . ban piglet fighting . . . too cute! Oh, those ferocious creatures. The pictures are really appealing — maybe they’re not quite as ferocious as they seem? Thanks pfj for appreciating. It seems more difficult to come up with a good April Fool’s Day post every year. The piglet in the top photo has a different personality. She came over to my uncle and worked on his disposable plastic boots until she had tore a hole in one.